Some time ago, I applied for a job where I had to implement a tool to schedule power on and power off on a computer. Sadly, the company that was hiring me tricked me with the price so we never achieved an agreement (or at least that's what I deduced from having no answer to my mails). However, as they needed it urgently, I was implementing the software during the negotiations so that I had finished my job when thy stopped answering me. So, as I thought it is an interesting software and there are many people that unknown how to do schedule a power on, I decided to post it in my blog. powerscheduler.py implements the main program that uses the rest of classes. schedulereader.py implements the configuration file parsing. necromancer.py implements the set up of power on and power off schedules. As you can see, all the interesting magic will be in necromancer.py file, so let's see how we can schedule the killing of our computer and then get it back from the Avernus. First we'll see the easy thing: how to schedule the shutdown. Of course the easiest way of doing this is to create a cron task. So when we schedule a power off, necromancer.py will create a file in /etc/cron.d/necromancer_poweroff which will call shutdown and then it will erase itself. How do we schedule the power on? Using the rtc timer of course. To check if your computer supports rtc, you just have to check if /proc/driver/rtc file exists. The rtc clock is the clock we configure in our BIOS, is the hardware clock, so the first thing we have to check is whether the rtc clock and the system clock have the same date and time (our computer could be using NTP so the hardware clock could be completely different from system time). Also is important to care about the time zone so that hwclock usually is set to UTC and the system time is calculated using it's time zone. To solve this problem, the firs thing that necromancer.py does is to set the hardware clock to UTC based on the system time. This way we can ensure that if we work in UTC, the time will be always the same in system and rtc. The first line resets the rtc wake alarm. We set the wake alarm in the second line (note the -u parameter to use UTC). In the third line, we see the lines alrm_time and alrm_date. As you can see, the alarm is established for the date we specified. I'm in UTC+1 so the time is one hour less to be in UTC. All this is done in necromancer.py. But, how the software works altogether? Well, It's simple, once you have changed the schedule in the configuration file stored in /etc/power_scheduler.cfg by default, the powerscheduler.py tool has to be called. This can be done calling the script from cron each five minutes or so but I recomment to use icron as the best solution. I'll talk about icron in other post some day. Well, thats all for now. 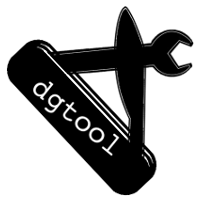 All the files used here are stored in https://github.com/diego-XA/dgtool/tree/master/powerscheduler. Feel free to use the tool and modify it. Comments are welcome. Bottle is a really powerful tool to develop light weight applications quickly. Recently I was programming little web service with bottle. Something easy. The point is that my service required SSL encryption to have a little more security and, after some googling, I couldn't find any quick&easy howto. However I looked into the bottle code an realised that there would be a good way of doing such thing... and here it is. Well, the first thing is to know that bottle can use several web servers as backends. So the way of bottle supporting SSL is that one of those servers support it. By default, it uses the wsgiref server that does not support SSL. On the other hand, one of the biggest benefits of bottle is that is very lightweight: the python-bottle debian package uses only 176KB so, if I have to use other web server than default as backend, I don't want to be a heavy one. Finally I decided to use cherrypy, as it seemed to be supported... but not the way I thought. There are two debian packages that provide cherrypy: python-cherrypy and python-cherrypy3. The first one uses 920KB of disk and the second one 15MB. Only the second is supported by bottle by default. Wow! I have an application that uses about 200KB of disk (bottle included) and should I use 15MB of disk to give it SSL support? Of course not! Lets see some code. This is a sample of my application. return "<p>Your login was correct</p>"
Yes, I'm kidding, it's not a sample of my application but a copy&paste of bottle tutorial... O:). 0x0020: 0001 9609 1f90 34e8 a0f5 413a 3e74 8010 ......4...A:>t..
0x0030: 0802 fe28 0000 0101 080a 000b 383f 000b ...(........8?.. 0x0020: 0001 9609 1f90 34e8 a0f5 413a 3e74 8018 ......4...A:>t..
0x0030: 0802 ff31 0000 0101 080a 000b 383f 000b ...1........8?.. 0x0060: 6e74 3a20 6375 726c 2f37 2e32 312e 3620 nt:.curl/7.21.6. 0x0120: 6f72 6d2d 7572 6c65 6e63 6f64 6564 0d0a orm-urlencoded..
Well, there it is. The traffic is not encrypted. What we are going to do to include SSL support is to add a new server class that inherits from bottle.ServerAdapter and that will support SSL through cherrypy._cpwsgiserver3 included in python-cherrypy debian package instead of using cherrypy.wsgiserver provided by python-cherrypy3 debian package which is the supported one by bottle. I saved my server.pem file in /var/tmp/server.pem for this sample. Lets see the new code of our sample. As you can see, there is not a lot of code but, does it work? As before, Terminal 1 is executing our application. Note that we use -k to accept unverified certificates and, of course, https protocol. 0x0040: 31d7 1603 0100 da01 0000 d603 014e de9a 1............N..
0x00c0: 0011 0008 0006 0003 00ff 0201 0000 5200 ..............R.
0x00e0: 7400 0b00 0403 0001 0200 0a00 3400 3200 t...........4.2. 0x0080: f3db d028 6ab3 aa80 308a d592 debb 75ef ...(j...0.....u. 0x0090: 2097 017c 6205 3790 6ce6 c26b 4d1c 6ef7 ...|b.7.l..kM.n. 0x00d0: 0001 0116 0301 0030 ffc7 337a b18b 7d92 .......0..3z..}. 0x0100: 0a9b a10b d85c 03f2 .....\..
As you can see, there is no clear text so it works! Maybe this solution is a bit intrusive but... it is quick, easy and lightweight. I don't know if there is a better solution but I would really like to know.